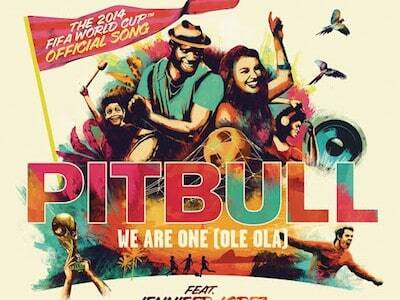 Is ‘We Are One (Ole Ola)’ the most inspiring World Cup tune ever? 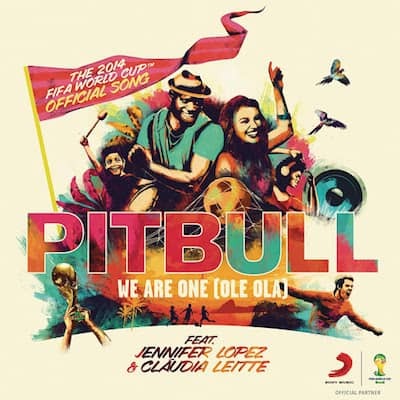 Is Pitbull and Jennifer Lopez’s World Cup anthem, ‘We Are One (Ole Ola)’ the most inspiring World Cup song ever? Probably. It’s got great pop hooks, tonnes of football imagery and some powerful beats. Unfortunately, it didn’t inspire our home team of England to do very well, but that was to be expected, we suppose. Who are you betting on, anyway – don’t forget you can do that via William Hill. Currently, the Soundsphere team is looking at Belgium to take the surprise win. No, really. We were gunning for the US to take it after England went out. So, now we’re gonna support Belgium. It seems only right. Anyway, let’s take a look at the songs lyrics and imagery. These words just feel good. It gets the message across, and all the teams can relate to banding together in order to achieve something great, like winning – or simply just competing and giving it one hundred per cent – in the world cup. Proper powerful stuff, promoting real passion and drive. While the word “fight”, and its use here might be somewhat questionable given the upbeat context of the track, but the whole thing, is after all about the spirit of great competition. Two sides, one fight, a million eyes, indeed. Football as ever captures the hearts, souls and minds of many, and at least for a little while, everything just seems a bit better. Not only that though – ‘We Are One…’ is the type of song that has great longevity. It’s legacy will last well beyond the World Cup, and that is damn good news for footie fans, and those in need of a bit of good ol’ fashioned inspiration every day of the year.